What is Homes in Community Hands? 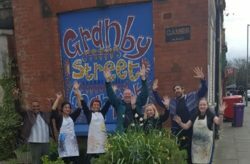 The programme provides support and grants to help community business groups progress projects that build or refurbish well-built, affordable and future-proof homes designed around the needs of local people. We aim to use £4.2 million in revenue funding over the next three years to support the development of community led housing in England. Funds will be mostly focused in Leeds City Region, Liverpool City Region, Tees Valley City Region, West of England and West Midlands. Funds will also be available to genuinely innovative community led housing projects anywhere in England. We are focusing on community groups in the early stages of their community-led housing development to support feasibility and pre-development work, leading up to submitting a planning application. Our research has shown that is where funds are needed most to get projects moving. Power to Change will award grants averaging £50,000 to community led housing projects that will create schemes that deliver a majority of permanently affordable homes for rent or sale to locally connected people. These can be either as new build housing or by refurbishing empty properties. Successful applicants will also receive advice and support from Community Led Housing enablers. You can download the guidance or listen to our recent webinar for more information. Apply on the Community Led Homes website. After riots in 1981, Toxteth in Liverpool went into decline and its housing, services and residents suffered with it. However thanks to local people taking action, the streets have come back to life. Nearly 20 years ago, the community stopped the demolition of their last four remaining original streets and started cleaning, planting and painting.